Its like music to my ears when I hear that a new brand will be launching in South Africa. It really makes me feel that SA is getting there slowly but surely. Last week it was said that Kardashian Beauty will be releasing in South Africa on the 15th of November, in all Stuttafords stores. So obviously I want to try it all. Now whether you like the Kardashians or not, their makeup always looks flawless! I’m in awe of their different makeup looks and how they seem to pull off every look effortlessly. Well now’s your chance to get that picture perfect look this spring/summer/autumn/winter. If I look at the prices of their products in the US, I think that its quite reasonably priced and there’s definitely a few key items that I’m lusting after in their makeup line. I made a list of all the goodies that I need.want.must-have and came up with quite a few products that I’m keen to try out and will definitely be purchasing. 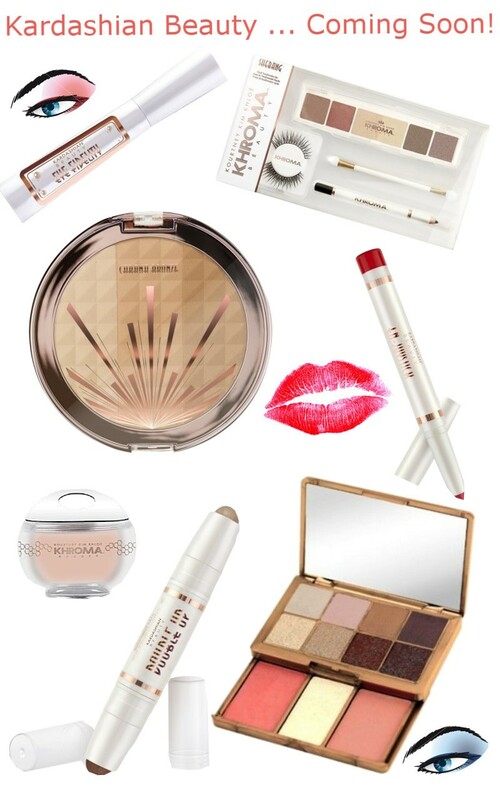 There’s some items that every girl absolutely must have in their makeup bag. I love that there’s a wide variety of products to suit everybody and I’m most of all looking forward to their lip products. Be sure to check this brand out as soon as it hits Stuttafords stores on the 15th of November. Follow @KBeautySA on Twitter for news and updates on everything FAB! Will you be purchasing anything from the Kardashian Beauty line? Tags: Beauty, Beauty Banter, Beauty Blogger, Beauty Brands, Kardashian, Khloe, Kim Kardashian, Kourtney, Make-Up, Makeup Closet, Stuttafords, Twitter. Bookmark the permalink. Ah mah ward!! Yes! I will most definitely be buying something from this line! I can’t wait till it hits our shores! The only problem I’m going to have is deciding what to buy first!